Mobile gaming is a growing trend and an increasingly larger number of gamers depend on their smartphones to play games. When compared with the actual game, a mobile gaming is little bit clumpsy especially with no ‘real’ buttons to go with it, you may really feel very bored after some time. But this could be resolved by MOGA. Yes, you might be aware of the famous gaming accessory company called PowerA. 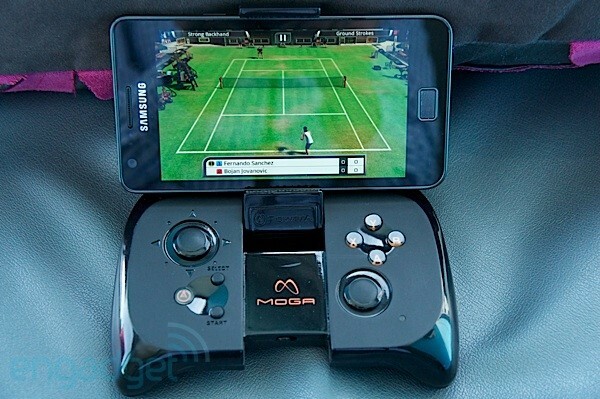 It has announced a Bluetooth gaming controller for Android phones called the MOGA. It includes a nifty built-in clamp style holder for your smartphone, essentially turning it into a handheld gaming system. The controller is also compatible with tablets, though the clamp is not designed to hold anything larger than a smartphone. Apart from that the company also offers a companion app that keeps track of which installed games offer controller support, so you can easily launch them from a single window. The MOGA Bluetooth controller is the first state of the art, full-featured controller designed specifically for mobile devices. The pocket-sized, portable and connected via Bluetooth, the MOGA Controller features dual analog sticks, two shoulder buttons, four action buttons and standardized start and select buttons. In addition, the MOGA Software Development kit provides mobile game developers with greater precision, robust control and enhanced display abilities while enabling fast, efficient development of rich new game titles and MOGA enhancement of existing titles. Finally, the MOGA Pivot App enables gamers to easily browse, find and play a library of MOGA Enhanced games in one convenient location. MOGA Pivot App will be available free via Google Play. The MOGA system will initially support android 2.3 (Gingerbread) and higher mobile devices. 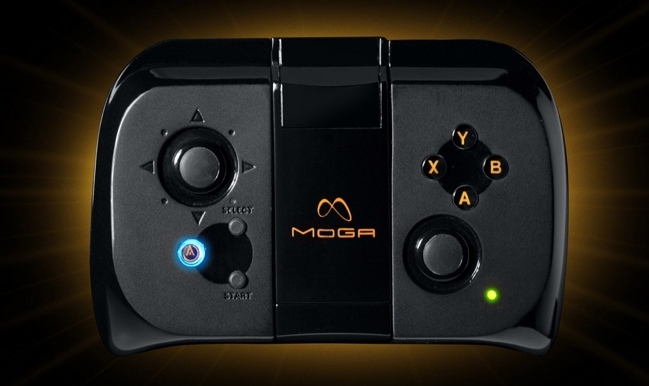 You can pre order the MOGA Bluetooth online $49.99 in BestBuy.com, Walmart.com, Toysrus.com, PowerA.com and Amazon.com. In addition to the pre-order availability, the MOGA will also begin appearing with some big-box retailers later this month. The MOGA controller will be coming to 7,000 retail locations across the US. The stores will include Toys ‘R Us and Best buy will have the controller towards the end of October, on the 21st, with T-Mobile getting it in November.